March 19, 2019 March 24, 2019 - by Miriam Jones - 31 Comments. Do you want to know if Plexus Slim is something that you should take or avoid? Let’s find it out together, shall we? According to the official website, Plexus Slim is an all natural weight loss drink that will “help you lose weight for the long term”. 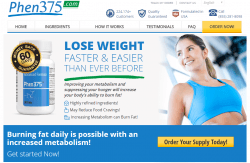 This product will also “burn fat and not muscles and increase your willpower over food”. Another claim made by Plexus Slim is that it is helping regulating blood sugar. 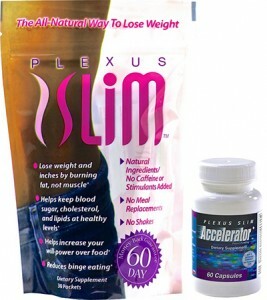 Plexus Slim is also being sold together with a pill called Accelerator+. They also state that the combination of these two products will “ensure rapid weight loss”. They promise a lot, but we will find out if one (or more) of these claims are true. Let’s continue this Plexus Slim review by getting to know the manufacturers. 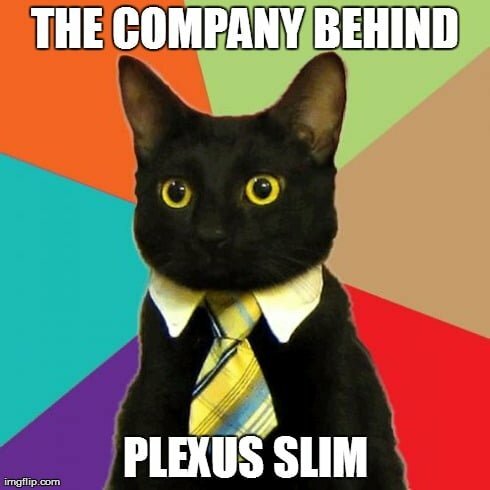 What kind of company is behind Plexus Slim? Where to buy Plexus Slim and its price? Plexus Slim is being sold by Plexus Worldwide Inc. 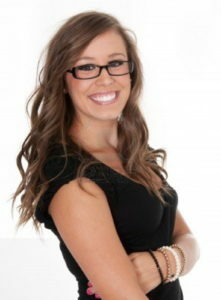 This company resides in Arizona and was founded in 2005. They hit a record sales day of one million dollarson July 27th 2013. This indicates that their business is going very well. Their current BBB rating is B+ due to 16 complaints in total. Most of these complaints were related to refunds and not the actual product. This means that there could be problems with refunds, but they looked like normal cases which occur now and then for all companies. There were only 4 complaints about the product itself which is a positive sign. However, I was not able to read what they said, but I would guess that they were cases with people not seeing any weight loss. One of the most interesting aspects of this product is their ambassador program where people can enroll and buydistributor kits. It is similar to multi-level-marketing (MLM) where you recruit more people below you by having them buying starter kits on their own. This aspect doesn’t have anything to do with the effectiveness of the product itself, but it is worth to mention. Since this is a drink, you mix the powder together with water and drink it 30 minutes before a meal. You should take Accelerator+ at the same time as Plexus Slim according to their website, if you happen to buy this product. The results will be seen after a few weeks and you should take a break using it after six weeks according to “experts”. This can be referred to asthe Plexus Slim cycle. This powder has a large number of ingredients and I will list them all here, but only talk about the most interesting ones that actually do something. Out of these ingredients, only a few are the real active ingredients, which is normal. The Alpha lipoic acid is the ingredient which lowers blood pressure, but it also has the potential to interfere with medications regulating blood pressure. Polydextrose is the ingredient most likely causing the bloating some people have experienced. Chlorogenic acid is the most interesting ingredient and it has also been proven effective in clinical studies. You may also find this in green coffee bean extract. It is unclear if the amount of Chlorogenic acid is enough to promote weight loss. Citrin K may reduce appetite, but there are no scientific reports on it (was removed in the new formula). Chromium. May lower blood sugar levels. The rest of these ingredients do not have any proof regarding weight loss. The only ingredient here which can promote weight loss is the green tea extract, but there are other and better products with green tea. The amount of green tea is also unknown. There is also a reason to be concerned about the Geranium oil which in fact is “DMAA”. You can read what the FDA has to say about this stimulant here. There are also some nasty side effects caused by DMAA which can interfere with blood pressure and increase it to dangerous levels. 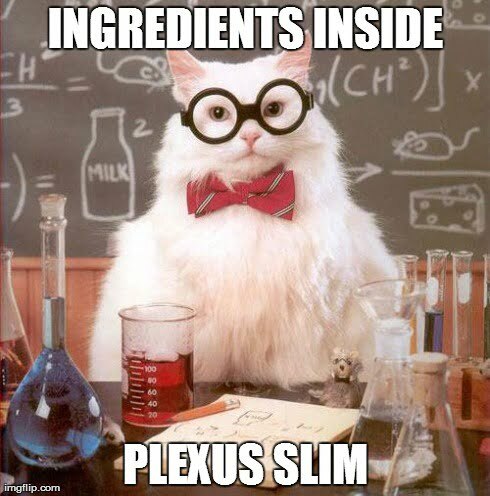 It is a bit funny how Plexus Slim has ingredients to lower blood pressure and Accelerator+ has ingredients to increase it. In conclusion, I don’t see any reason to buy Accelerator+, especially if you are sensitive to caffeine. There are a number of side effects reported by users on Amazon.com. The most common one is bloatedness and constipation. These side effects are most likely caused by Accelerator+ which has caffeine in it. You should avoid Accelerator+ if you are sensitive to caffeine. 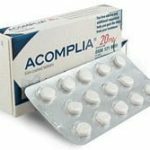 Since it also contains Chromium which lowers blood sugar levels, there is a risk that it will interfere if you take any medicine which lowers blood sugar. 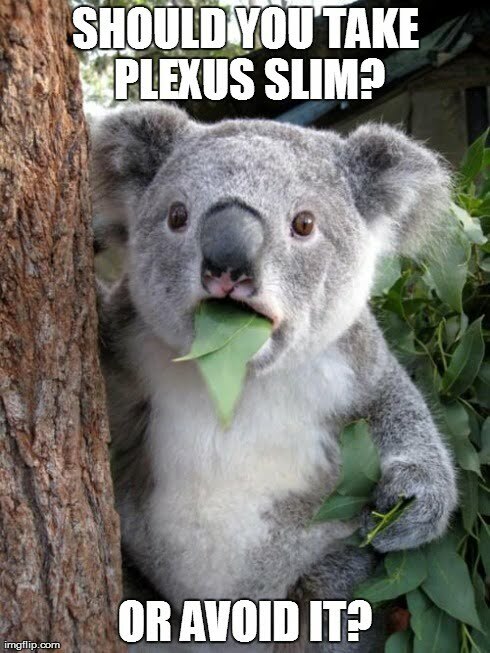 Plexus Slim is sold on Plexus Worldwide at $84,95 for a non-recurring 30-day supply. They also have an auto-shipment program which costs $79,95 per month. The difference here is not that big and it is also very expensive. It’s clearly in the upper price range. The Accelerator+ costs $39,95 as a one-time purchase or $29,95 for the monthly recurring plan. There is also a combo-package for $114,95 or $99,85 per month. This is also a very high price to pay per month when there are other products available. Since this product has increased in popularity due to their community, it isn’t strange that they are selling it for this price. 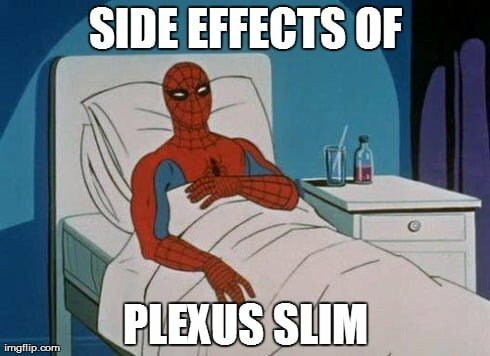 Will Plexus Slim work? I’m not so sure about that. It is clear that people are having mixed opinions about Plexus Slim after reading through comments on various websites. Some people claim they had excellent results and others haven’t had any results at all or side effects. There are also no scientific studies on its effectiveness which makes it even more unclear. 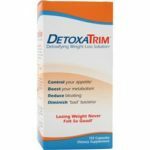 In conclusion, you may want to test this product since it has ingredients that can help reduce weight, but there are better and less expensive products to try. 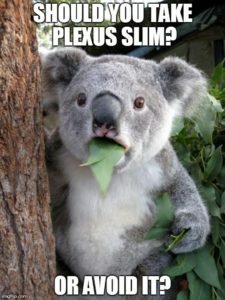 What is your opinion on Plexus Slim? I have recently decided to try Plexus Slim. 1.26.14 is when I joined. Like you I am very interested in seeing if this really works. So I am going to document it daily from here on out! It’s been one month. I am down 16.8 lbs in a 4 week time. Will that continue? I don’t know. But I am willing to try! I have been taking Plexus slim since 11/1/13 and I have lost over 40 lbs. I have high blood pressure and high blood sugar. I saw my endocrinologist in december but had only lost a little since then. exactly 3 months later I went back. blood sugar 7.1 down to 6.3. blood press 156/88 down to 120/78. One blood pressure medicine discontinued. Metformin blood sugar medicine dosage cut in half. This is the easiest “diet” i have ever been on because I eat what I want, which isn’t much because I AM NOT HUNGRY. Snack eating is virtually nil. I love this stuff!! All the Plexus products have worked well for me. I lost 30 pounds in 3 1/2 months which included Thanksgiving and Christmas. I ate pie. I ate fudge. And of course margaritas. Yet I still manged to lose. Best of all I’m off of three if my blood sugar meds. My Dr was tickled pink with my weight loss. In another 30 days he will probably take me off my Blood Pressure and Cholesterol meds as well. Call Mae @ 678-650-2292 Plexus Slim is the most-natural, healthy solution to help you lose weight and inches by burning fat, not muscle. Slim also helps keep blood sugar, cholesterol and lipids at healthy levels. I started Plexus Slim, accelerator, and the ProBio 5 on March 1, 2014. So far, 12 lbs, 11 inches, and 3 pant sizes lost! I also feel awesome, have decreased allergies and acne, and am sleeping like a baby! I buy mine from my aunt! I’ll definite reference this post for all the knowledge you have on the active ingredients and known causes of side effects. It’s hard to find quality content and you delivered. It’s expensive for what it does. I’ve been using Plexus Slim, Accelerator +, Pro Bio 5, Bio Cleanse, and X Factor for about 10 days now, and haven’t felt this good in years! I’ve lost 7 lbs, and lots of inches (haven’t measured), I sleep well and wake easy, and best of all…my sugar/carb cravings are MUCH better than they’ve ever been! It is listed as Citrin K which is a standardized extract from garcinia cambogia. I should have been more clear about that. TAKING GARCINIA COMBOGIA ALONE HELPS LOSE WEIGHT. Hi ! Im 16 and want to take the Plexus , i just want to loose my belly fat . i need help on where to start , what to take , etc !! You were on it for 5 days when you wrote this post & you already know what is normal in regards to side effects? plexus for me: After 5 weeks, greatly reduced heartburn, swelling of ankles virtually gone. Lost 6 pounds and 8 inches total. Down 1 pant size. HI, I’ve been on Plexus for 7 weeks now and still retaining a lot of fluid! Has anyone delt with this and wondering when it will pass?? Hi. I have been using plexus slim with the accelerator for 1 1/2 months. I have not lost any weight. Should I continue? Also, does any of the products contain gluten?